Our First Official Book Review! We were sent a new book courtesy of Zondervan, in return for an honest review of the book. Josh read the book since I have been busy with school. 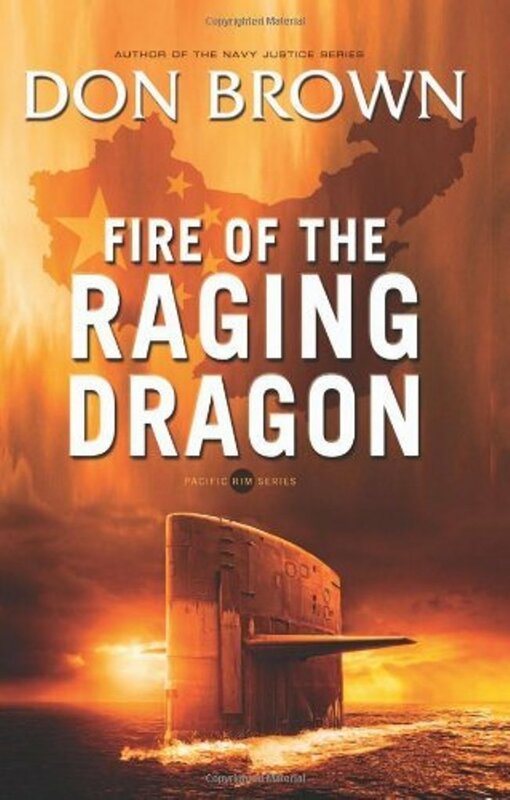 As one who enjoys espionage and combat fiction, I found Don Brown’s, “Fire of the Raging Dragon,” an OK read. Through the course of the book, he takes a look at real to life US economic and international policies against the back drop of military adventure on the high seas. While some of the economic questions that he raises are excellent, the story he was telling seemed to wander somewhat. The plot was great but the story could have used more depth in the areas of character development and background. The end of the book, though good, was fairly predictable. Brown went to some lengths to try and wrap up many of the sub plots with the ending but some of the conclusions seemed abrupt and focused on the good guys (the US Navy and President) winning. While this works great for the book, it is not always the case in real life. One of the things I enjoyed about “Fire of the Raging Dragon” was that is a clean read. Many authors of similar genre feel the need to fill their books with profanity and sexual encounters of the heroes. Thankfully, Brown stays far away from that and deals honestly with other aspects of combat without sensationalizing the violence. I give this one three and half stars out of five! Click here for the link to the Zondervan product page. We might do this from time to time, since it’s fun to get free books, and it’s fun to share those free books with others. If you live in our area and want the book, we happen to have a copy to give away – just let me know!